The La Plata County Humane Society is one of five finalists to win a $50,000 renovation and be featured on “Animal Planet Pet Nation Renovation.” The winner will be determined by online voting Sunday through April 2. 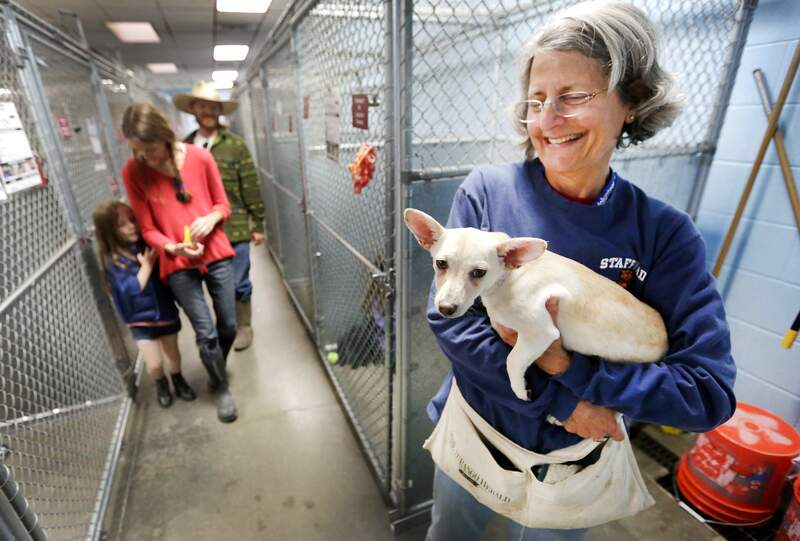 La Plata County Humane Society is in the running for a $50,000 prize to renovate its Durango shelter. The shelter was “stunned and thrilled” to learn it was named as one of five national finalists in the “Animal Planet Pet Nation Renovation” contest, held by the cable TV channel Animal Planet. The Humane Society is the only Colorado finalist. The four other finalists will be announced Sunday. The winner will be determined by popular vote, which begins 7 a.m. Mountain Daylight Time Sunday and runs through April 2 on Animal Planet’s website. If selected, the local humane society will be the recipient of a $50,000 project undertaken by the Animal Planet Pet Nation Renovation Crew. The renovation will be filmed and aired on the channel network’s show. The nonprofit shelter opened in December 1997, and it has undergone three additions and remodels to keep up with demand. Shelter staff members are out of room to adequately accommodate existing needs, and there is a vast amount of deferred maintenance, according to the release. “Our facility is approximately 20 years old, and the kennels are in desperate need of upgrade for the safety and well-being of the animals entrusted to our care,” said Animal Services Director Chris Nelson. Executive Director Michelle Featheringill said she hopes residents statewide and around the Four Corners will support the shelter during the next two weeks.